Staying in the house most of the time leads me to discover what’s needed in the house. When I was still working in an 8-hour job I can’t really monitor the status of the house if there are certain areas where we badly need renovations or repairs. Now I can see what my Mom was always telling me, she was always saying that if I’m one who stays in the house the whole day I’ll get to see that some areas need to be prioritized. Well there are lots to be repaired and replaced but for our budget we'll have to check the immediate ones and the budget needed. In these days you can’t just start a construction without studying and analyzing your finances or else your project will not be able to finish. Hubby let me do all the budgeting. As I can see now we have to start with our gate and fences which was shelved when my Mom was operated last summer. Then we should be dealing with our old bathrooms which we've already started also this summer. We’ve started the first phase outside the house and now we’re into the second phase which includes the bathroom interior. 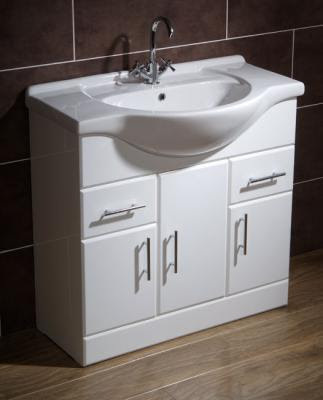 I’ve found some stock clearance sale online at BetterBathrooms.com and found one nice furniture that would really fit in our bathroom. We’ve already saved enough for these two projects and we’ve only to wait for my brother’s list of estimated expenses before starting up. Hope we can finish it all in one month as we have some more projects to line up.